Master category that incorporates all news for all vehicles, wheels, events, tuning packages, and more. Understatement is so yesterday – let’s lay your cards on the table. 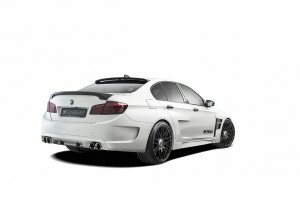 HAMANN Motorsport introduces the most ferocious BMW M5 of all times (Type F10). With each generation, BMW decided to make its top 5 Series more powerful; however, but cut back on its cultured, luxurious image. 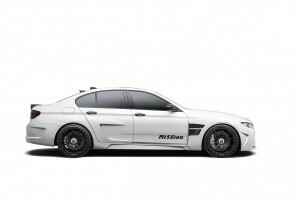 Conclusion: The fifth generation of the M5 has grown up but is more conservative. Now, HAMANN turns on the tap again. “MISSION” makes no compromises, and the top-notch racer finally looks how he always was meant to look. It starts with the front spoiler, where the high-voluminous air intakes, deep front splitter, and LED daytime running lights are not enough. Up front, the new dual kidney-shaped grille pushes daringly into the wind and covers the headlights completely, which duck deeply inside the cavities. The perfect, tailor-made wider body of the 5-series adds 30 mm on each side and at the same time receives some weight treatment. After all, the components are made completely of real carbon but bring no more than 3.2 kg to each side to the scale. This includes the sporty wings, the side skirts, the door fixtures, and the broad rear wheel housings. The latter flow smoothly into the new rear apron with the air exhaust behind the fender wells. The integrated diffuser houses two stainless steel tailpipes on the left and right of the new rear silencer, which delivers just the right sound for the car’s ferocious looks. The roof spoiler bravely faces into the wind, providing much better contact with the pavement. The new, much wider wheel housings are now filled with 21-inch forged wheels – the “Anniversary Evo Hyperblack” or as an option, rims of the type “Unique Forged Formula”. In front, the “MISSION” boasts 265 mm wide tyres, while the drive axle is fitted with 305 mm wide. The wheels fit perfectly into their housings since the sport suspension brings the HAMANN M5 35 mm closer to the asphalt. In partnership with Vredestein, HAMANN found the ideal tyres for the “MISSION” to maintain contact with the road. In a trade-off, Vredestein Ultrac Vorti R are now mounted onto the forged rims, which is a perfect match for the more powerful bimmers. Grip, steering precision, and cornering are guaranteed; even beyond the 300 km/h mark. How important the partnership between HAMANN and Vredestein is attested by the HAMANN logo on the tyres’ wall. The leather in the cockpit presents itself with the same alpine-white as the MISSION’s exterior paint. A special highlight is the carbon embossing, which flawlessly fits with the exterior design. The pedals including footrest and door sill trim are made of aluminium and don’t lack on sporty looks either. This total package summarises the HAMANN M5 – a sporty saloon with the baddest temper and the prettiest face. Its legendary cross-country mobility has been known for decades, and the AMG outperforms itself on a regular basis with its fast street version. 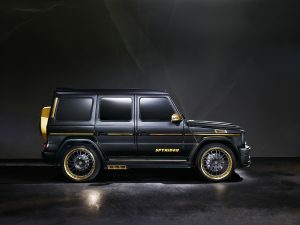 But only HAMANN Motorsports defines the letter “G” of the G-class as “Great” acceleration. 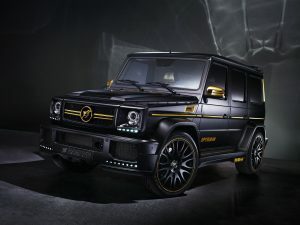 HAMANN has presented the HAMANN SPYRIDON (Type: W 463) at the International Motor Show in Geneva, Switzerland with an eye catching world premiere; The heraldic animal, the HAMANN Pegasus, of the tuning specialist from Laupheim, Germany, could be illuminated with the push of a button. The winged horse, the Pegasus, has been painted in several layers on the bonnet and in the rear on the spare wheel cover, using a completely new developed illuminating paint consisting of several layers. When applying a small voltage to the paint, it glows. Thus, even in the dark, the HAMANN SPYRIDON distinctively separates itself from the production series. 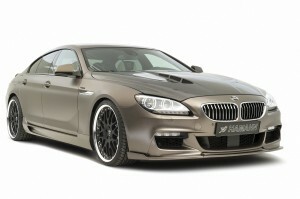 However, the AMG and the HAMANN differ primarily in their power output; regardless if night or day. While the Mercedes coming off the assembly line produces a “mere” 612 HP (450 kW), due to the characteristics map of the 12-cylinder HAMANN and a completely new exhaust system, it bursts ahead with almost 100 HP more (702 HP or 517 kW). The maximum torque is increased from an even 1000 to 1110 Nm. An increase in the power of the G 63 AMG is also available. 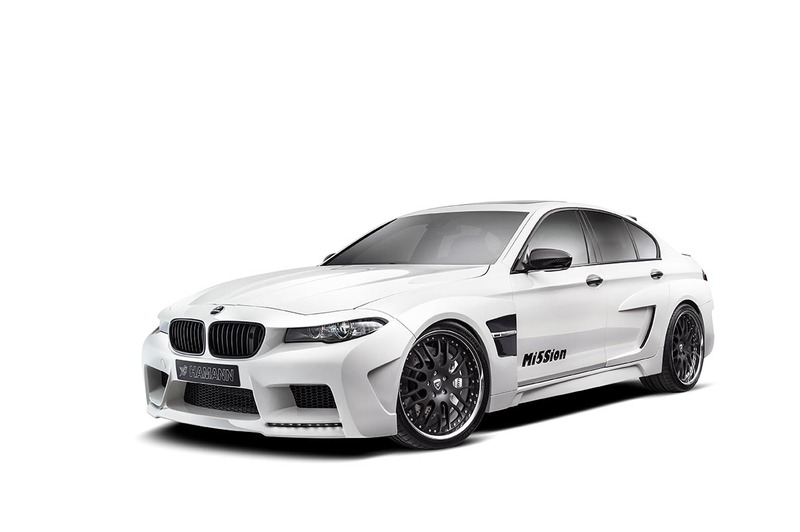 With this, the 5.5 Litre V8 bi turbo produces a remarkable 610 HP (449 kW) instead 544 HP (400 kW) and reaches a torque of 875 Nm rather than 700 Nm. 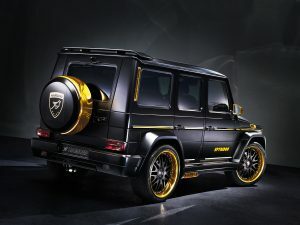 The HAMANN proudly presents its newly gained power: The G-class from Laupheim grows 80 mm in width. 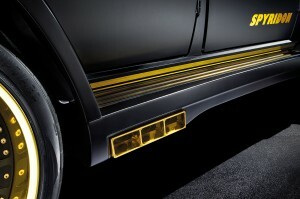 And especially for the G-class, tailor-made LED fluorescent strips are added to the front spoiler. Not only do they serve as daytime running lights, but due to their blink function, also act as turn signals. Thus, the blinker boxes – although they are characteristics, however, rather clumsy and not individual at all – have been removed from the wings. This contributes significantly to the new look of the SPYRIDON. The new sporty look of the former all-terrain vehicle is based on a few things: the mirror housings – made of carbon – as well as the bonnet, which is fabricated completely of the carbon material, weighing in at only 3.5 kg. The roof spoiler and the rear apron with integrated diffuser are responsible for the improved dynamics. Not only do the new site skirts include LEDs that illuminate the floor, but also light up the completely redesigned triple tailpipes of the sports exhaust gas system. These end pipes were milled from a solid block of aluminium and anodised in a golden colour. The 24-inch light-alloy wheels, edition Race or Unique Forged, were also shaped from solid aluminium. During the forging process, the material is compressed to a point where all air inclusions are forced out of the aluminium. This produces extremely light-weight wheels with a high degree of load capacity at the same time – ideal for the HAMANN SPYRIDON. Vredestein Ultrac SUV Sessanta tyres, size 305/35/24, are mounted on all four wheels. The interior has been morphed into something new as well. The perfect decorative stitching on the instrument panel and the seats is the work of a master craftsman; it provides a visual focus and completes an outstanding overall impression of the leather interior. Gold-coloured leather door panels and 24 carbon trims spread around the passenger compartment accentuate the interior even more. 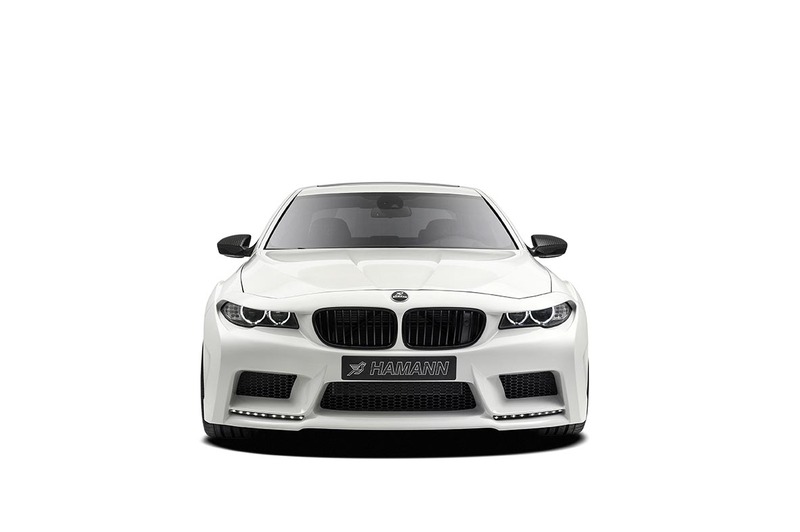 The sports pedals are manufactured of aluminium; the door sill trims are made of brushed stainless steel and display the white illuminated HAMANN logo. The silver embroidery of the logo can also be found on the exclusive floormat set made with threaded, black pearl velours. http://www.hamannmotorsport.co.uk/wp-content/uploads/2013/04/Hamann-Autovogue-site-logo_3.png 0 0 admin http://www.hamannmotorsport.co.uk/wp-content/uploads/2013/04/Hamann-Autovogue-site-logo_3.png admin2013-04-18 13:02:172013-04-18 14:07:04Hamann converts the Mercedes G65 AMG into the "Spyridon"
6 Series Gran Coupé with M Aerodynamic Package. 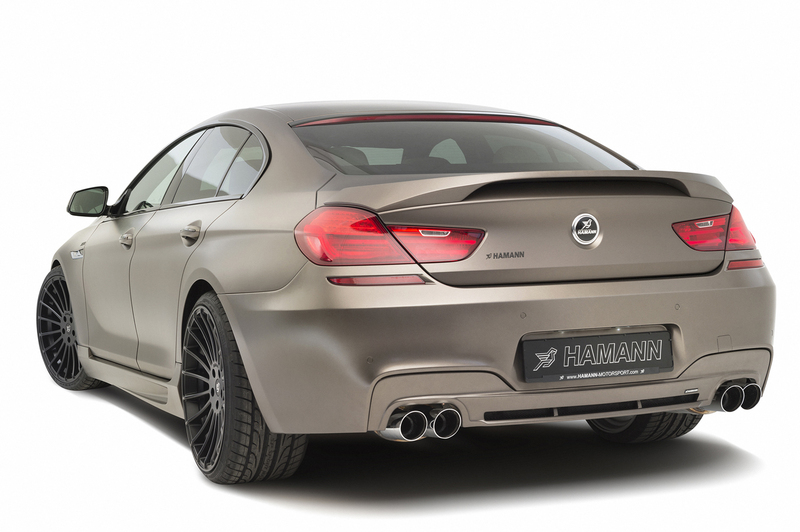 After the presentation of the first individualisation programme for the BMW 6-series Gran Coupé (F06) by HAMANN-Motorsport in 2012, the Laupheimer have now developed exclusive parts for models with the M aerodynamic packet. The HAMANN aerodynamic components are adapted to the original M aerodynamic front and rear valances. 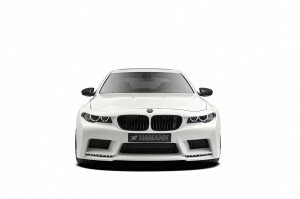 At the front a competition front spoiler is used, which increases the down-force. At the back an insert for the rear bumper offers space for four exhaust tail pipes. All the other enhancements already introduced in 2012, such as front bumper, rear spoiler, tailgate cover and side skirts, of course remain in the programme and are also available for the 6-series Gran Coupés (F06) with M aerodynamic package. http://www.hamannmotorsport.co.uk/wp-content/uploads/2013/04/Hamann-Autovogue-site-logo_3.png 0 0 admin http://www.hamannmotorsport.co.uk/wp-content/uploads/2013/04/Hamann-Autovogue-site-logo_3.png admin2013-04-18 12:16:232013-04-18 14:04:22 6 Series Gran Coupé with M Aerodynamic Package. 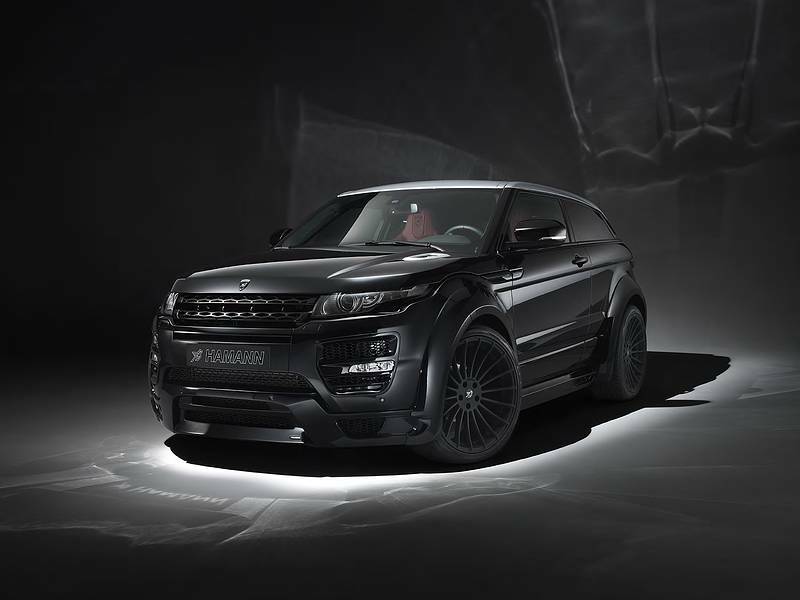 Range Rover used to stand for angular all-terrain vehicles with an outdated country gentry image – but that was before the Evoque came on the motoring scene. Gone are the days when it was mostly customers with check quilted Barbour jackets and Burberry scarves who purchased models from this brand. But this group of customers doesn’t want to just buy something “off the peg”; they want a little individuality. 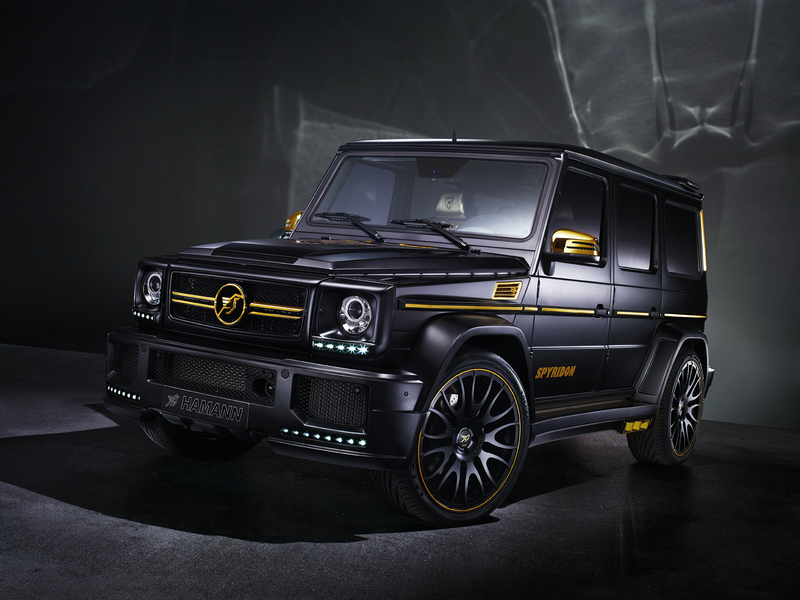 And this is exactly what they get from HAMANN-Motorsport – both with the five-door model as well as with the three-door coupe. The HAMANN designer touch not only adds significantly to the little Range Rover’s presence; the sporty, masculine outline also makes it a real head-turner on the street. 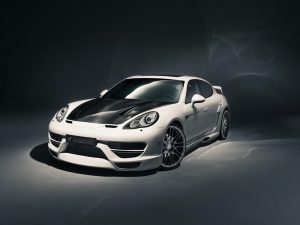 It’s not the two-part front spoiler or the tailored side skirts that are responsible for this; instead it is the fender flares that make the difference, with all the other bodywork components being subordinate to this. They lend the SUV some overtaking prestige and give the model the desired level of respect. The vehicle has undergone a special kind of muscle training if you will, as the HAMANN-tuned model has grown 70 millimetres at the front axle and 80 millimetres at the rear axle compared with the standard version. 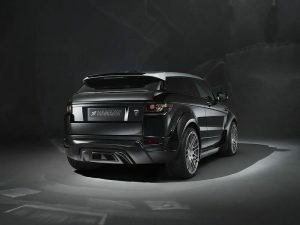 And speaking of overtaking: When the HAMANN Evoque appears in other drivers’rear-view mirrors, it’s not fooling around: it has what it takes to leave other cars behind. This is ensured by the various performance-boosting kits available from HAMANN. As a result of the interplay between the different HAMANN components, including a high-performance exhaust system, a sports air filter and an optimised engine map, the 2.2 Si4 delivers a full power increase of 38 hp (28 kW). In the case of the diesel models (2.2 TD4, 2.2 ED4 and 2.2 SD4), engine performance is boosted by up to 31 hp (25 kW). Meanwhile, the vehicle’s torque soars by 65 Nm in the tuned model, propelling the sporty SUV from corner to corner with ease. No matter how many bends the driver must deal with, the Evoque never loses contact with the road surface. The suspension-lowering springs in the HAMANN programme lower the SUV’s centre of gravity by 30 millimetres, benefiting its handling. 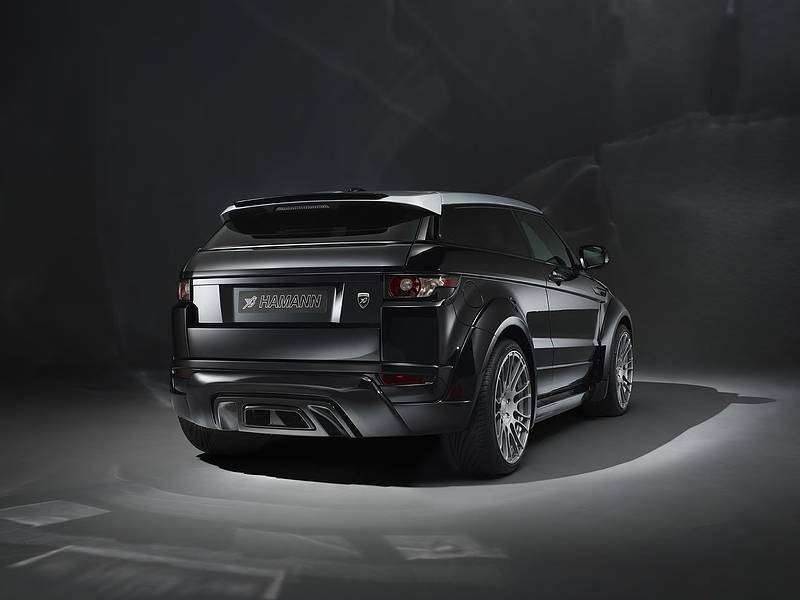 Thanks to the three-part EDITION RACE “ANODIZED” aluminium wheels, the Evoque is transformed into a sports car. The 22-inch wheel rims with their anodised anthracite spokes, titanium screws and high-gloss polished rim flange are produced using forging technology, making them extremely light and reducing their unsprung mass. 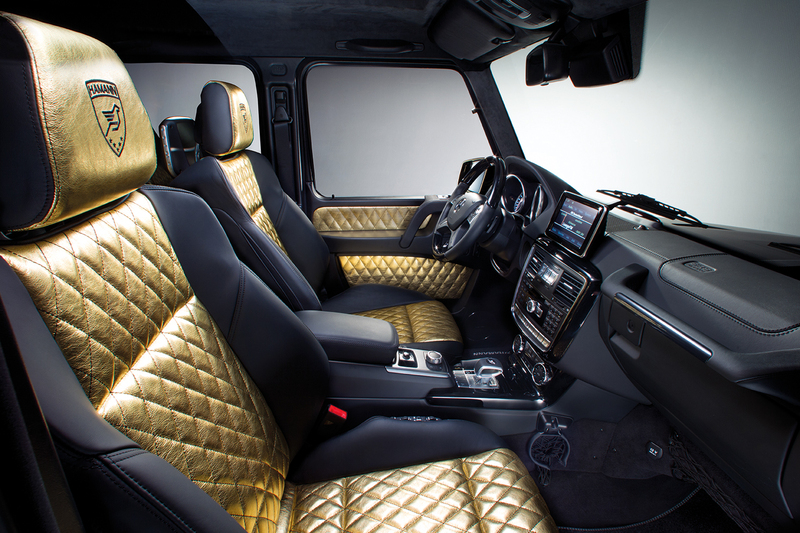 Inside the SUV too, HAMANN customers are offered more features that take account of their desire for individuality. 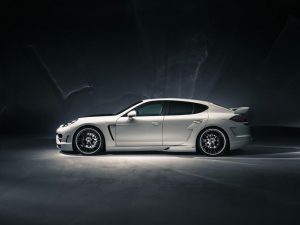 As a complement to the existing range of interior features that come as standard in the vehicle, HAMANN Motorsport also offers an extensive array of extras, ranging from personalised foot mats to a perfectly finished full leather interior. Decorative stitching finished by hand to perfection on the dashboard and the seats creates a visual focal point and completes the overall impression of beauty. 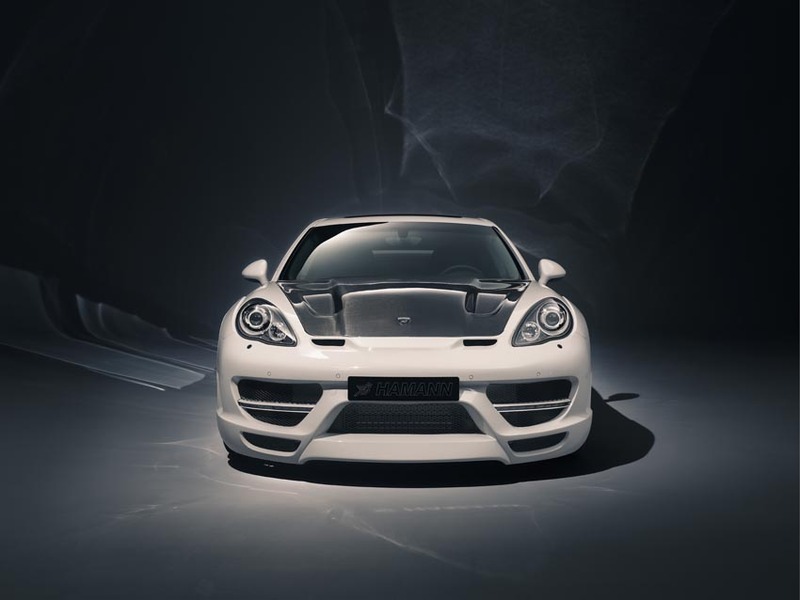 For more information about the extensive HAMANN tuning programme, Please contact our team for your individual requirements.